The ongoing CBC series, Urban Jungle, explores smart ways for humans to live in harmony with urban wildlife. When it comes to living in harmony with bears, Coquitlam, B.C., can be looked to as an example. Residents of the city are close neighbours with the local black bear population, and the people and animals generally live well together, says Julie Kanya, Coquitlam's urban wildlife coordinator. Kanya said the harmonious relationship is due to the city's commitment to being a "bear smart community." Residents can go to the city's website and make a pledge to make their family a "bear smart family." Being bear smart means reducing human/wildlife conflict by minimizing wildlife attractants, said Kanya. "What we are trying to do is make sure our residents don't allow bears to get any food award at their property," said Kanya. "Really they're just doing what wild animals do — they're looking for easy food sources." Coquitlam residents can be fined up to $500 for not managing their waste correctly and the city has produced a series of videos about being bear smart. The fine and the municipal commitment is key when trying to live harmoniously with nature, says Bryce Casavant — a former conservation officer who made headlines in 2015 when he was suspended for refusing to kill two black bear cubs near Port Hardy, B.C. Casavant recently released a report about public trust in wildlife law enforcement. He is also working on a PhD, examining how humans co-exisit with wildlife. 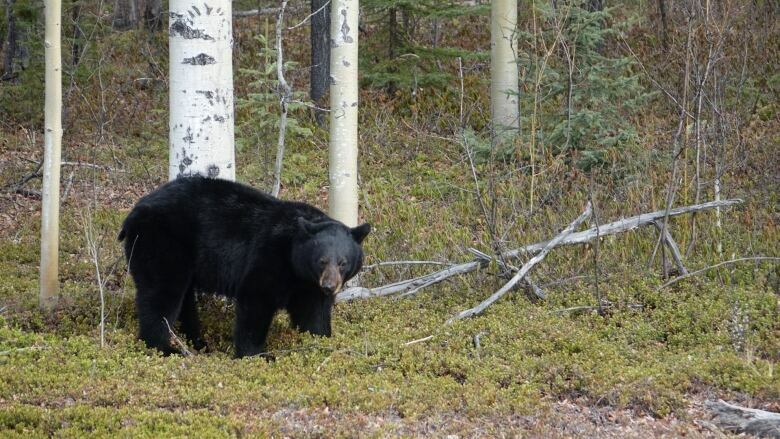 A study out of the U.S. concerning black bears and humans recently found that education campaigns alone aren't enough, said Casavant. He said the study suggested bylaws need to be established and enforced to keep residents in line. "After a period of time we sort of slip into our old habits and we don't really listen and we do what we want anyway," said Casavant. "Without active enforcement, the public really doesn't just comply over time." Casavant said living with bears — and other wildlife — is simple. The public must expect and be prepared for encounters with wildlife, he said. The public has a responsibility to be informed about wildlife, and government has a responsibility to keep people informed and to enforce rules. The City of Coquitlam does all these things well, he added. Urban Jungle is an ongoing series running on CBC Radio One's On the Coast from July 6 to August 31. The series will explore smart ways to live in harmony with urban wildlife. Range of wildlife habitats to be protected in southeastern B.C.